Using seed as a promotional tool is a very effective way of marketing your brand. Seeds are an eco-friendly promotional product – with a long shelf life! They’re lightweight making them ideal for mailings. In addition to this, the packet has a perceived high value to consumers’. 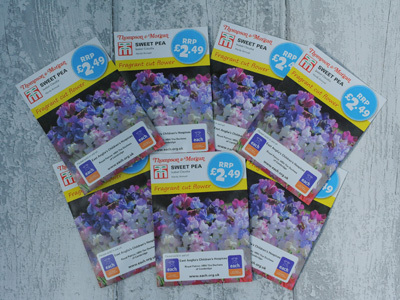 “Thompson & Morgan Promotional Seeds” offers you the chance to use seeds as a promotional tool, and it allows you to have a bespoke branded packet that will remind your customers to always come back to you. We provide you with the expert advice and tools to create your own packet; we produce the packet and then fill it with Thompson & Morgan quality guaranteed seeds. Our in-house design team is also available for use if required.